In the last decade, we’ve witnessed several catastrophic events that created food shortages on a massive scale. It’s easy to think that “it won’t happen to me,” but building an emergency food supply guarantees you’ll be prepared if and when a disaster does strike close to home. Unfortunately, scouring the internet for information (or misinformation) on food storage can quickly turn into a disaster of its own. Even knowing how to begin gets tricky. 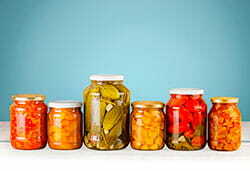 In this article, I’ll help you calculate how much food storage you need. 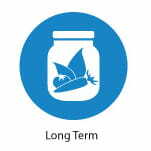 From there, you can select which type of food storage interests you. I’ll break down the benefits and drawbacks for each type, so you can choose the best path to building your emergency food supply. There’s no “one-size-fits-all” for emergency food storage, despite what countless online services try to tell sell you. Because each of our families is different, we’ll face different challenges and inconveniences when building a food storage supply. 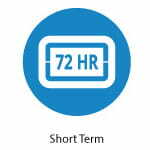 Food storage subdivides into three general categories based on time: 72 hours (short-term), one week to three months (extended short-term), and 3+ months (long-term). Think about how many people—and pets—you’ll need to feed during an emergency and multiply that number by the length of food storage supply you want to create. This lets you calculate how many servings you’ll need to survive for a particular length of time. Portability and accessibility are key for a 72-hour food storage or emergency kit. Lightweight food items such as crackers, cereal, granola bars, or canned beans, meat, tuna, or Chef Boyardee allow you to carry them with you should you need to evacuate. Avoid “pop-top” cans. They can explode and leak in your pack. Salty foods increase thirst and accelerate dehydration. Avoid when possible. 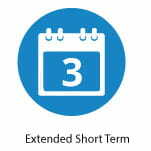 An extended short-term food supply should last between one week and three months. Considering that on September 6, 2009—nine days after hurricane Katrina ravished New Orleans—there were between 5,000 to 10,000 people still stranded and waiting for rescue, I’d recommend the latter. Even if you don’t use all three month’s worth, it’s better to have extra than run out of food before help arrives. Most everyday non-refrigerated food can be stored for three months at time, and it shouldn’t take much beyond purchasing extra quantities of the food you regularly eat to build up extended short-term food storage. By using the same food you usually eat, you can rotate your expiring food storage into your everyday meal plans and replenish your food storage with newly purchased food. Setting up this rotation maximizes your food storage shelf-life while making sure it doesn’t expire. Any food you’re planning to store long-term needs to have less than 10% moisture content. I’m talking dad-joke level dry. (Or that joke.) Listed below are foods that can have a shelf life of up to 30 years when stored under the proper conditions. Storing your food in a cold and dry place will extend the shelf life of your long-term storage. It’s recommended to keep your storage room temperature at or below 24°C/75°F. Most basement cold storage areas will meet this requirement. If you can’t regulate your storage location temperature, you’ll need to rotate products out based on “best if used by” dates and perceived freshness. It’s important to keep your food storage up off the floor when possible to keep it dry and to allow for air circulation. 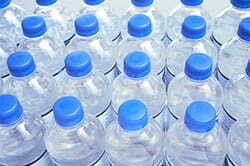 Polyethylene terephthalate (PET) plastic bottles, like used soda or gatorade bottles. You’ll want to add oxygen absorber packets inside these containers (available on Amazon) to ensure the longevity of your food storage. Oxygen absorbers preserve the taste and nutritional quality of your food by eliminating food-borne insects. A. We need so much of it. To store enough drinking water, you’ll need at least one gallon per person per day. A gallon of water weighs approximately eight pounds. That means for my family of three, we’ll need 24 pounds of water per day. 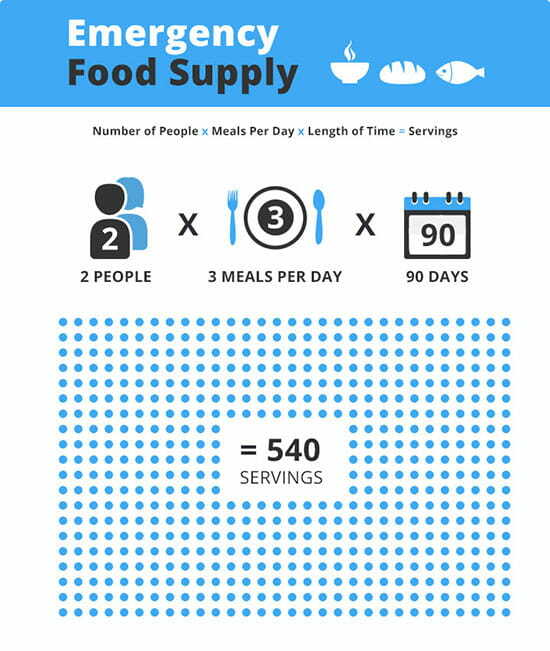 Multiply that by 90 days for short-term food storage, and we’re looking at 2,160 pounds of water, or 270 gallons. Although that may seem like a ton of water (It is—literally), the good news is that water’s cheap. The amount of water isn’t a problem as much as storing it in the right container. You should have an assortment of water containers ranging in size and shape. If you store all 2,160 pounds of water in 55-gallon drums, you won’t be able to take water with you should you need to evacuate. Whatever containers you choose, they should meet two basic qualifications: They need to be food grade containers and PET quality plastic. Believe it or not, tap water is your best bet when creating your emergency water supply and is safer than bottled water for long-term storage because of differences in tap water and bottled water regulations. Your city tap water is already chlorinated, which means you don’t have to treat it before placing it in storage. Decide which type of food storage best fits your situation. Many companies offer prepackaged food storage bundles. These bundles range from a few hundred to several thousand dollars, but they provide a fairly hands-off approach to preparing adequate food storage. If your budget allows for it, you can simply buy enough bundles to cover your preferred time period, and your food storage is good to go. If you’re looking for a more budget-friendly option, you might consider building your own food supply from scratch. Though building your food storage piece-by-piece requires a considerably larger time investment from you, it could save you thousands of dollars in the long run. Will it provide the requisite nutrients to survive? 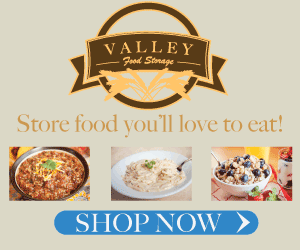 What type of food storage is best for me? Preparation: The benefits of freeze-dried food come with a huge caveat. Freeze-dried food depends on water. This adds to the already existing water problem because without even more water, you can’t eat. Nutrition: Freeze-dried food retains 99% of its vitamins, nutrients, and enzymes, which makes it one of the best choices for a long-term food supply. Shelf life: Freeze-dried food will easily last the longest of all types of food storage. 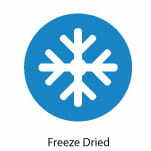 When stored below 24°C/75°F, freeze-dried food can last up to 25 years. Preparation: Dehydrated foods need to cook, which means you’ll need a stove, fuel, and time. Keep in mind that preparation for dehydrated food may be complicated in some emergency situations. If you can’t cook your food, you won’t eat. Dehydrated foods further complicate the water problem. Because dehydrated foods need added water to be edible, you’ll need to store more water. Check the amount of water needed for each serving to calculate extra water needs. 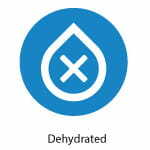 Nutrition: Through the process of dehydration, food loses about 20% of its nutritional value and flavor. Shelf life: When stored below 24°C/75°F, dehydrated food can last between 10 and 20 years on the shelf. 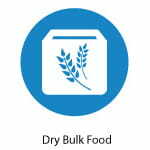 Nutrition: These foods are staples for a reason; you’ll receive the maximum nutritional value from dry bulk food with added ingredients for your particular meal plans. Staple foods are part of a whole and should be consumed with added foods like fruits and vegetables. Shelf life: 10 to 20 years. Dry bulk foods like beans, wheat, rolled oats, and rice have been staples for generations because they store for a long time, especially when kept below 24°C/75°F. Preparation: Many canned goods can be eaten directly from the can under extreme circumstances, but you’ll probably want to have a stove with fuel to cook your meals. And a can opener. Nutrition: 100% nutritional value. 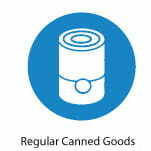 Since this type of food storage isn’t meant to last past the “best used by” date, regular canned goods are best used for short-term and extended short-term nutrition. Shelf life: 3 to 6 months. Canned goods should be regular staples in your pantry, and you can rotate this food storage into your meal routines. If you keep a 3–6 month supply, you can create a rotation schedule that keeps your food storage up-to-date and fresh. Whether you build from scratch or buy the bundles, start creating your emergency food supply sooner, rather than later. The information above should help you get an idea of what will work best for you. The only wrong choice would be not to do it at all.